This class is especially helpful for those who have never cut, prepped, or sewn one of Claudia's quilts! Lucy will be giving demonstrations on how to use the products Claudia's supply list calls for, how to properly mark your fabric for multi-hooping, stabilizers, and helpful techniques! 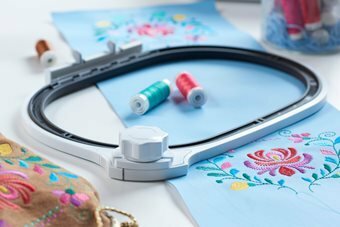 Have your questions answered and finalize your fabric selections prior to class so you'll have more time to embroider during the workshop. We recommend that each attendee print out their supply list, prep instructions, and embroidery instructions and place them in a binder for class. Make sure you have a copy of the instructions that corresponds to your machine's hoop dimensions. There is no cost to attend, but you must register ahead of time in order for us to prepare a space for you. Attendee must also be enrolled in at least one of Claudia's May 2019 workshops at Blue Crab Quilt Co. This is a lecture/demo class.